After a career as a performer in ballet and contemporary dance, Johan choreographs various musical projects such as La petite sirène at the Olympia de Paris, Kid Manoir 1 and 2 at Le Palace, Le Noël Magique at the Palais des Congrès, Le Tour de Gaule Musical d’Astérix at the Théâtre des Champs-Elysées, La petite fille aux allumettes at the Théâtre du Palais Royal along with Peter Pan and Blanche Neige at Bobino. He is the choreography consultant for the Disneyland Paris 20th Anniversary parade. He is a coach and choreographer for the TV shows La France a un incroyable talent (M6), Arab got Talent (MBC4), La nouvelle star (D8), Famous Dance (E-Entertainment), A la recherche de (W9), X Factor (Rustavi 2) and Arab Idol (MBC1). 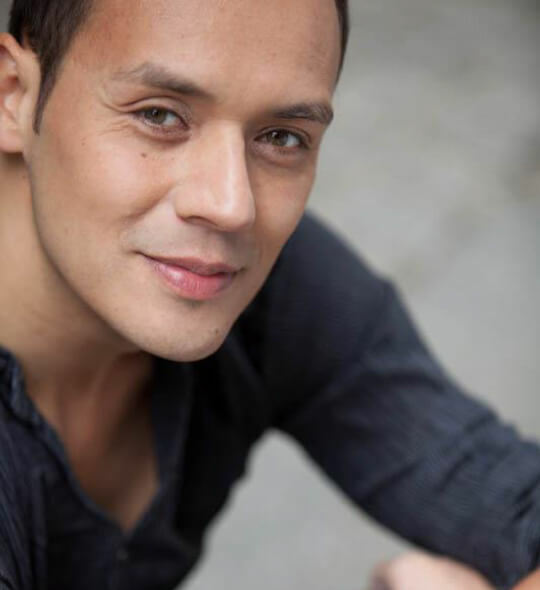 He also choreographs the musicals Sweeney Todd, Un violon sur le toit, Aladin and Madiba at the Théâtre Comédia. Johan is also a part of the Ménilmontant band which is signed with Sony classique. In 2016 he goes on to choreograph Twisted Vegas at the Westgate Theater and Magical Dream at the Planet Hollywood in Las Vegas. In 2016/2017 he creates the choreography for the Timeo show at the Casino de Paris and Le Petit Prince at the Kharkov Opera in Ukraine. Among his many activities Johan also takes part in many music videos and in prestigious events worldwide.